HomeCategoryWorldThe First Church of Cannabis is for real! The First Church of Cannabis is for real! Self-proclaimed “Minister of Love” Bill Levin has established the First Church of Cannabis and asked ‘Cannataerians” to fund its mission of “love, understanding and good health”. 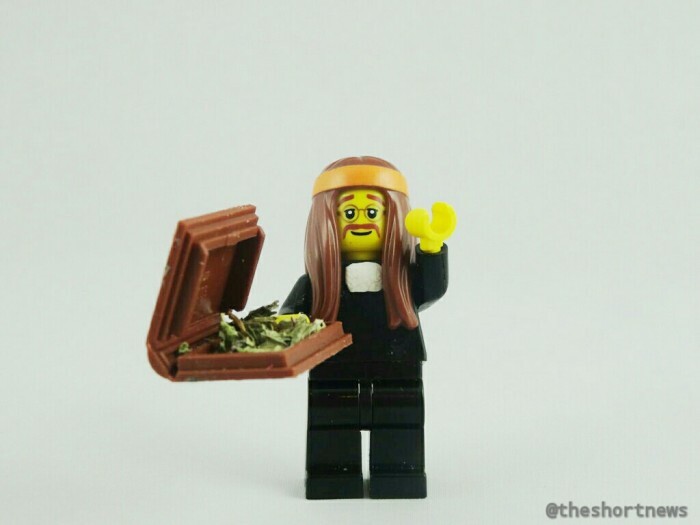 It’s reported that the church uses cannabis as part of its sacraments and that it has even laid out 12 commandments, on which is “Don’t be an a**hole”. Bill’s actions were made possible after Indiana passed the ‘religious freedom’ law which provides that government can be stopped when it interferes with a “person’s exercise of religion only if it can demonstrate that it is the least restrictive means of furthering a compelling governmental interest”. It has been argued that preventing the use of marijuana is such a compelling interest. Bill says that if his church is blocked by anti-drug laws, it would contravene his religious freedom! The First Church of Cannabis – your path to spiritual enHIGHtenment?